Melaleuca oil, also known as Tea Tree Oil, is an essential oil. Tea Tree oil should never be used at 100% because animals can experience drop in body temperature, incoordination, weakness, lethargy, tremors and heart abnormalities. 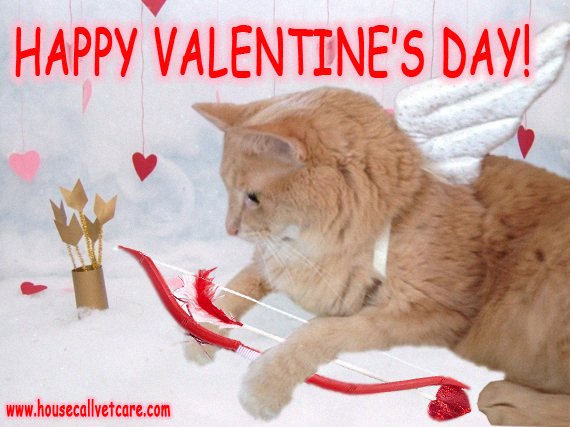 If your pet has a skin issue, please consult with your veterinarian about the proper treatment recommendations. The recalled product was distributed in the 4 lb. bags nationwide to distributors, brokers, retail stores, and internet retailers. The recalled product is limited to Nutrisca Chicken and Chick Pea Recipe Dry Dog Food in 4 lb. bag sizes, bearing UPC Code “8 84244 12495 7” (found on lower back of the bag). Products included in the recall are identified by the below first 5 digits of the Lot Code (found on upper back of the bag) and “Best by Dates” (found on upper back of the bag). No other bag sizes or other Nutrisca dog food, cat food, biscuits/treats, supplements or other products, are affected by this announcement. The recall was initiated after a routine sampling program by the Ohio Department of Agriculture revealed the presence of Salmonella in one 4 lb. bag of product. The company is coordinating this voluntary recall with the FDA, and is issuing the recall action out of an abundance of caution. Winter is quickly approaching and it won’t be long before the roads, sidewalks, and driveways are covered with chemicals used to melt ice (ice melts). If dogs aren’t eating them, they are at least walking through or playing in them! Ice melts pose a problem with both oral ingestion and dermal contact. There are many brands of ice melts on the market but the major ingredients are sodium chloride, potassium chloride, magnesium chloride, calcium salts (calcium carbonate, calcium magnesium acetate, and calcium chloride), and urea based products . Before suggesting a safe ice melt to a client it is critical to know information about the ice melt’s ingredients. Large ingestions of sodium chloride can lead to sodium toxicosis and a dose of 4g/kg of sodium chloride can be lethal to dogs. Mild ingestions lead only to gastrointestinal upset such as vomiting and diarrhea, but dogs eating large amounts of this type of ice melt can develop hypernatremia with central nervous system signs, dehydration, tachycardia, tachypnea, hyperthermia, and death. Increased intake of potassium, as seen with large ingestions of potassium chloride salts, is unlikely to produce sustained hyperkalemia unless renal excretion is impaired in the dog. Potassium chloride, however, is a severe irritant and can cause gastrointestinal irritation to the point of hemorrhagic vomiting or diarrhea. Ingestion of ice melts containing magnesium chloride can be irritating and result in gastrointestinal upset. In addition, hypermagnesemia can occur with very large ingestions, but is unlikely to occur unless the dog has renal disease. Calcium salts are the most hazardous as they are the most severe irritants of all the ingredients in ice melts. Ingestion of calcium salts can cause severe gastrointestinal signs as well as local irritation from dermal (skin and paws) contact. Large ingestions of calcium salts are unlikely to increase serum calcium concentrations because multiple other factors are needed to absorb the calcium. Urea based ice melts are generally the ones labeled as safe for use around pets. Ingestion of urea usually leads to salivation and mild gastrointestinal irritation, but large ingestions may result in weakness, tremors, and methemoglobinemia. All types of ice melts have a potential to be hazardous. In general, most ice melt exposures are limited to gastrointestinal upset and local dermal irritation but there is a potential for more serious, life threatening side effects. It is important to educate clients on the potential risks of exposure and inform them of proper storage and use so that exposures can be avoided. Christmas is a busy time of year for us at Pet Poison Helpline! Of course, we receive many calls about pets eating chocolate and other treats, but we also answer many questions about the toxicity of the festive plants used to decorate the home and given as gifts during the holiday season. Christmas trees – Curious cats and dogs are often delighted to explore the Christmas tree, which usually will be a variety of spruce, fir, and pine. Ingestion of tree needles can be irritating the mouth and stomach, resulting in vomiting, diarrhea, and drooling. With large ingestions there can be potential for obstruction of the GI tract and possible perforation as the needles do not digest well. Ingestion of artificial tree material also can cause GI irritation and possible GI obstruction if enough is ingested. When pets drink Christmas tree water, mild vomiting and diarrhea are possible, and if Christmas tree preservatives are added to the water, usually it will still only be mildly upsetting to the GI tract. Poinsettia – It is a myth that poinsettias are a highly toxic plant. Poinsettias contain a milky white sap that can cause mild vomiting, drooling, and diarrhea when ingested by pets, but more serious toxicity is not expected. Mistletoe – There are several species of mistletoe, and store-bought mistletoe plants will commonly have the berries replaced with plastic berries. In most cases when a small amount of mistletoe is ingested, only mild vomiting, nausea, and diarrhea develop. Very large ingestions of mistletoe have the potential to cause cardiovascular and possibly neurologic signs, though this occurs rarely with pets. Ingestion of plastic berries potentially could cause intestinal obstruction. Christmas cactus – Christmas cactus is considered a non-toxic plant. Mild vomiting, nausea, and diarrhea can occur with ingestion, but serious toxicity is not expected. Amaryllis – Many people enjoy growing showy amaryllis blooms from bulbs during the Christmas season. When pets ingest the plant’s flowers and leaves, vomiting, drooling, and diarrhea most commonly occur. The bulb is more toxic and ingestion of the bulb, especially in large amounts, can possibly result in weakness, tremors, seizures, and changes in blood pressure. Holly – Ingestion of holly can also cause vomiting, diarrhea, drooling, and lethargy when ingested by pets. All parts of the plant can cause GI upset if ingested. If you suspect your pet has been exposed to a potential toxin, contact your veterinarian or call Pet Poison Helpline right away at 1-800-213-6680. Most dogs who bite, do so out of fear—a fear that develops commonly due to lack of socialization. What do you do if your dog’s fear has progressed to the point where he bites? Here’s my article with advice to clients’ questions and my tips for dealing with dogs that bite. Have you ever had a dog bite? How do you handle this situation? At PEDIGREE®, we care about all dogs and their safety and well-being is extremely important to us, and to our mission – to make a Better World for Pets. For that reason, we have announced the extension of a previous voluntary recall of PEDIGREE® Adult Complete Nutrition dry dog food products due to the possible presence of a foreign material. The voluntary recall still affects 22 bags shipped to Dollar General across four U.S. states, but it now is being expanded to 55-pound bags of PEDIGREE® Adult Complete Nutrition dry dog food products sold in Sam’s Club in Indiana, Michigan and Ohio. 55-pound bags of PEDIGREE® Adult Complete Nutrition dry dog food sold at Sam’s Club will have the lot code432E1KKM03 printed on the back of the bag near the UPC and a Best Before date of 8/7/15. See below for a list of Sam’s Club stores. Information taken from the FDA. 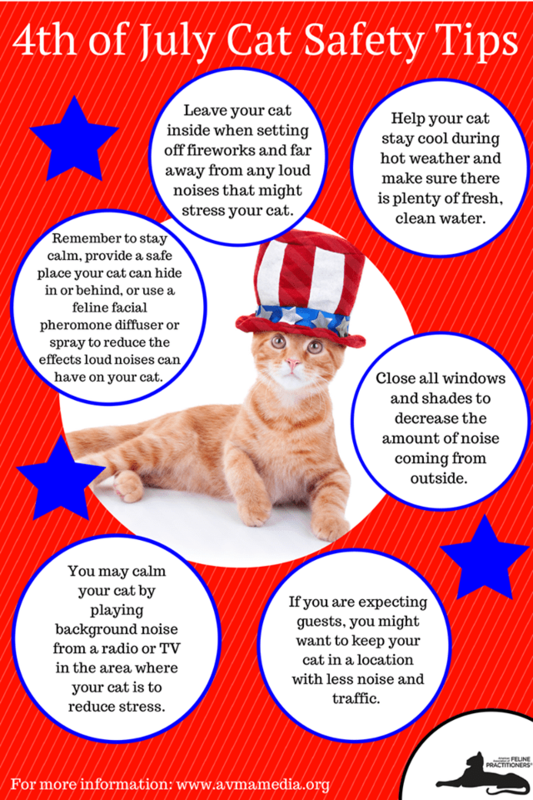 Fireworks and animals do not mix. 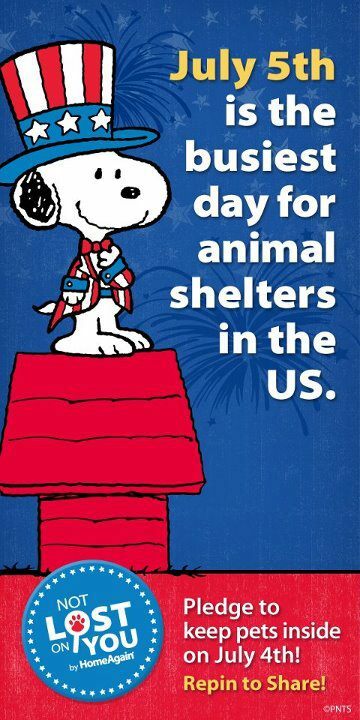 More pets go missing on the 4th of July then any other day of the year. *Keep them home and keep them indoors. *Provide a safe place for them to go to if they get scared by the noise. *If you must take them outside, make sure they are on a leash or in a crate. 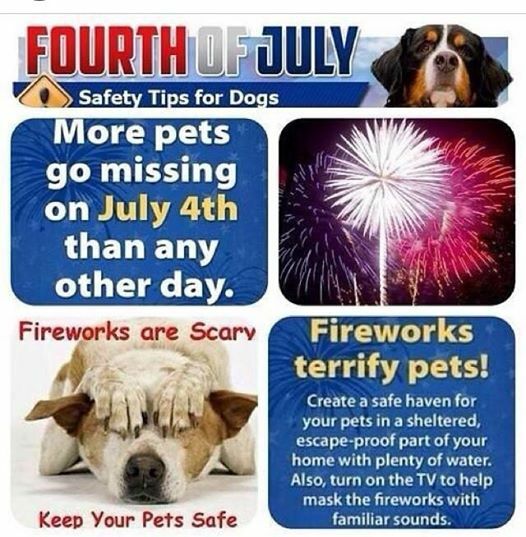 *Also, this is a good time to make sure your pets are microchipped and that all information is up to date as well as their I.D. tags.